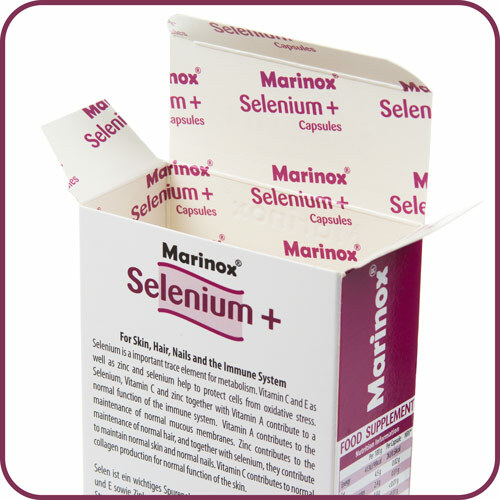 For skin, hair, nails and the immune system selenium is a very important trace element for metabolism. Vitamin C and E as well as zinc and selenium help to protect cells from oxidative stress. 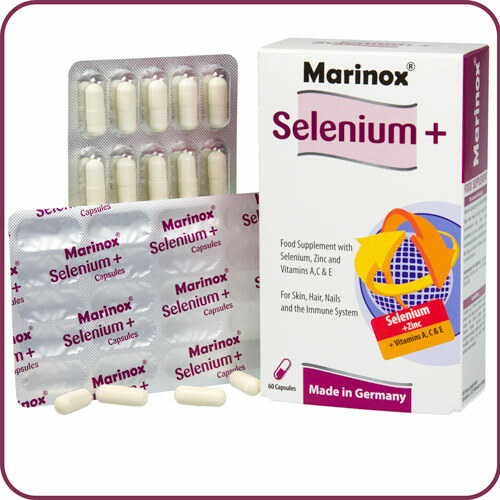 Selenium, vitamin C and zinc together with vitamin A contributes to a normal function of the immune system. Vitamin A contributes to the maintenance of normal mucous membranes. Zinc contributes to the maintenance of normal hair, and together with selenium, they contribute to maintaining normal skin and normal nails. 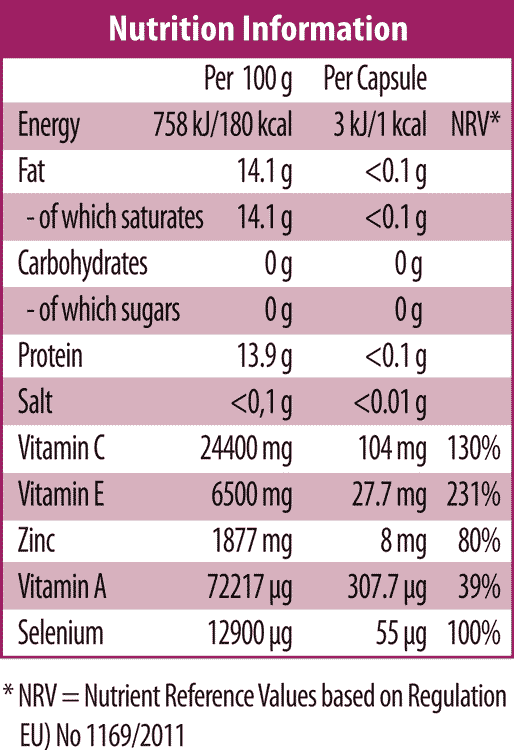 Vitamin C contributes to normal collagen production for the normal function of the skin. L-ascorbic acid, D-alpha-tocopheryl acetate powder (anti-caking agent silicon dioxide), capsule Shell (bovine gelatine, colour titanium dioxide), anti-caking agent (magnesium stearate), bulking agent (microcrystalline cellulose), zinc oxide, retinol acetate, sodium selenite. 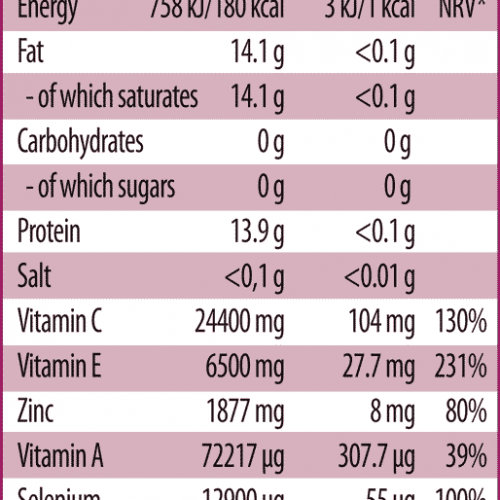 1 capsule provides 3kJ/1kcal and <0.01 bread units (BU).